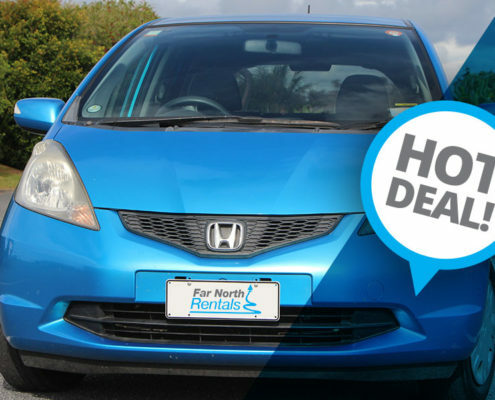 Far North Rentals have rental car hire to suit every need in Northland. Great fuel efficiency, Air Conditioning, Airbags, Unlimited Kilometres, 24/7 AA Roadside Assistance, Insurance Options. 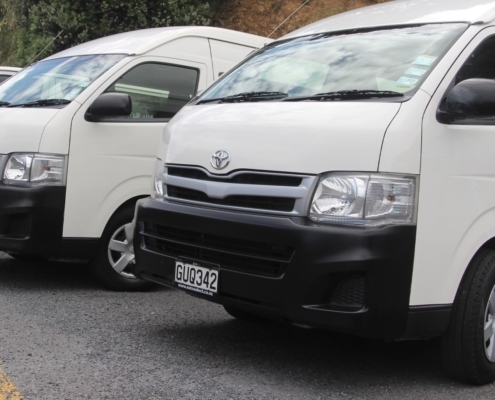 Comfortable and spacious, Great luggage space, Air Conditioning, Airbags, ABS, Unlimited Kilometres, 24/7 AA Roadside Assistance, Insurance Options. AWD SUV, Full Air Conditioning, Airbags, Unlimited Kilometres, 24/7 AA Roadside Assistance, Insurance Options. 12 Seater, 3 Litre Diesel Engine, Dual Air Conditioning, Airbags, Unlimited Kilometres, 24/7 AA Roadside Assistance, Insurance Options. We offer 24/7 AA roadside assistance with all of our vehicles. 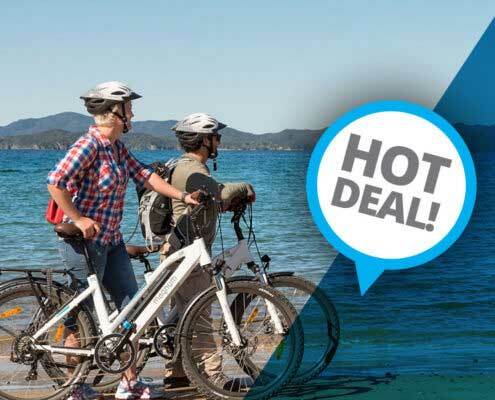 There is Unlimited Kilometres on all of our Northland rental cars. We have discounts available for customers who rent a car for 2 days or more. We have specials for customers who rent any of our vehicles for 10 days or more from $39 per day (Winter rates). The Insurance excess on our vehicles is $3000. This can be reduced to $250 for an extra $20 per day or to zero excess for $30 per day. We have a luggage trailer rental available on request. This costs $35 for the first day, $20 per day thereafter. 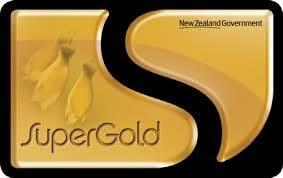 Great service, hassle free pick up and drop off in Keri Keri and Auckland. We had a late model, well maintained Toyata Hiace for our two families. No hesitation in recommending this local company. Always the best service for both rentals and for sorting out car problems. I definitely recommend Far North Rentals to everyone who needs a rental while in the Far North. Thanks team :). We would like to say thank you to Ken and Ngaire for the great service. Both vehicles we hired were in excellent condition and extremely well priced. We would recommend Far North Rentals to anyone.